Roughly 84 million rolls of toilet paper are produced each day in the tissue paper industry. There is an enormous amount of production to manage and as a result, a substantial amount of "miss rolls," or rolls that do not pass production standards during the manufacturing process. There can be various reasons for a log to not be up to standards such as normal start-up, a bad roll size, a tear, poor seam lick, machine maintenance or operator error, etc. Whatever the reasons, toilet paper manufacturers have to find a way to handle these miss rolls. An average of three to seven 10 foot logs are scrapped every 45 minutes, in most operations. 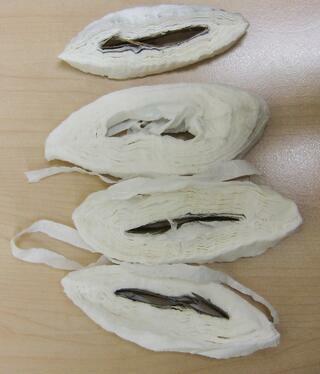 Many tissue paper manufacturers want to re-pulp their miss rolls and utilize industrial shredders in the process. If you read our last blog The Best Kept Secret in Industrial Shredding: High-Speed Shear Cut, you know that most industrial shredders on the market utilize twin or triple offset shredder heads which crush or tear at the fibers of the tissue, causing damage to fibers. We call this a mastication type cut. When fibers are then extracted through and reweaved into paper, the damaged fibers effect the papers integrity and make it weaker. We all know that weaker is no good in toilet paper! Unlike traditional shredders for tissue paper materials processing, our Tissue Log Shredder has a single point shear contact between the rotary cutting blade and cutter bar. We refer to this as a “ninja-style cut” The blades are formed on a helix, which produces a cleaner cut; thus keeping the fibers intact. Our process has a greater recyclable yield and less disposable dust in comparison to other industrial shredders on the market. Also, since more fibers are intact, manufacturers are able to create a stronger paper product during the re-pulping process. Our machine can shreds tissue/paper logs up to 8” in diameter. But don’t stop there, our tissue log shredder works great for moving cookies with less air and smaller air handling systems. We also have wider versions of the Tissue Log Shredder that work great with slabs and bulkier material handling needs. Interested in learning more about the Tissue Log Shredder? 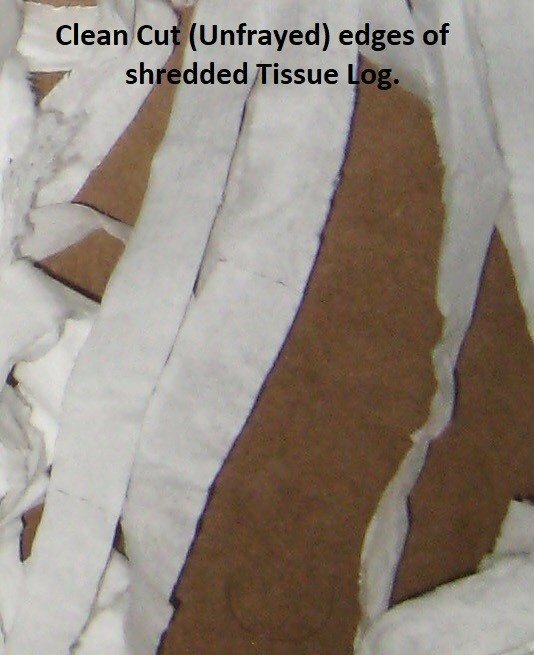 Check out Tissue Log Shredder page.